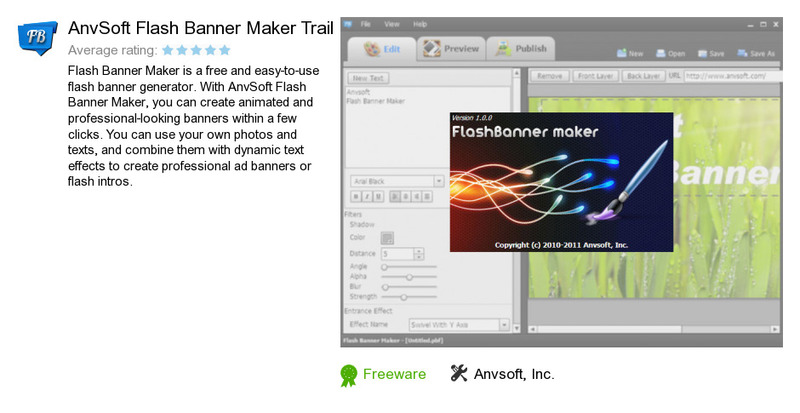 AnvSoft Flash Banner Maker Trail is an application developed by Anvsoft, Inc.. We know of version 1.0. Version 1.0 is downloadable at our site. AnvSoft Flash Banner Maker Trail package has a size of 2,824,482 bytes. Anvsoft, Inc. also publishes Any Video Converter Ultimate and Any Video Recorder.